If you've ever sunk your teeth into the meat of an NHL game, then you'll likely be able to attest to at least a handful of moments when goa ltenders went absolutely bonkers and made horrific plays. The AI for the position seems impossibly tough to nail down, and that crops up every so often during play. We know you want more realistic and consistent goalies, so that's what we're delivering in NHL 14. You'll find goalies that make the saves you'd expect them to make, but occasionally blow your mind with an unbelievable (but always realistic) save. No more "Spider-Man" goalies. If you're interested, check the whole thing out. A lot of it spells great news for NHL fans. 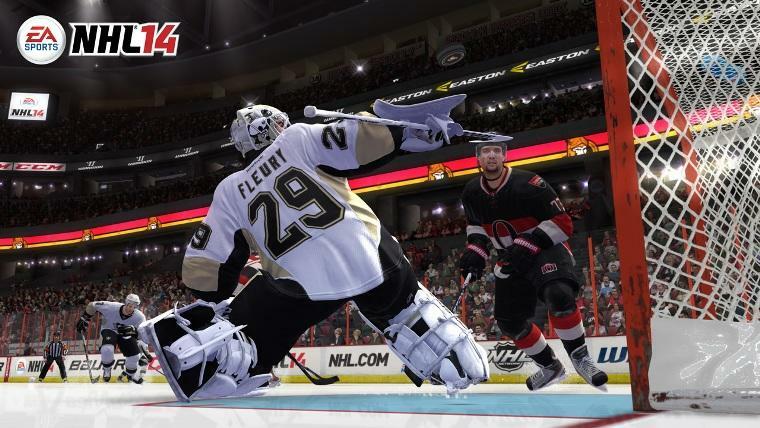 NHL 14 will hit the Xbox 360 and PlayStation 3 on Sept. 10, 2013. We'll have more as it comes.